Frank Hamrick is a Red River Paper customer and is an assistant professor and the photography area coordinator for the School of Art at Louisiana Tech University. He recently released a hand made photography book made with Red River’s 50lb. Premium Matte Double Sided. We’re honored he chose our product to be part of this project. Below is some information and images from the book. Enjoy. 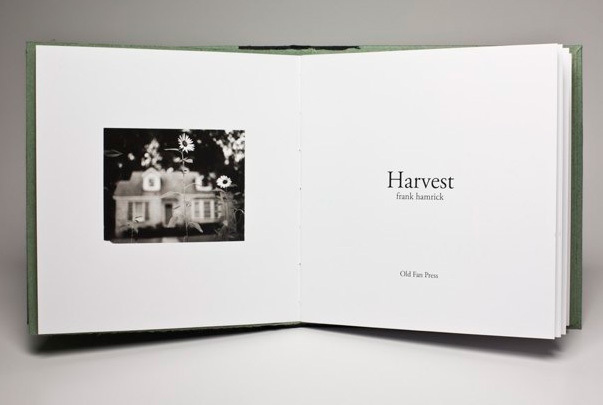 The first hardback edition of the handmade book “Harvest” is limited to twenty-five copies available in blue, green or purple. 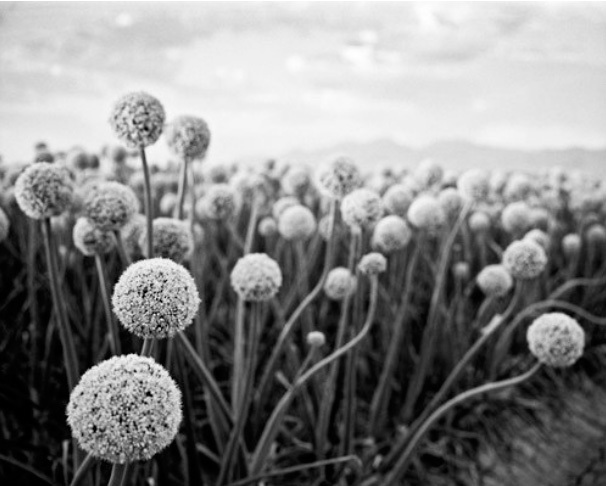 Twelve images are inkjet printed and the text is LaserJet printed on 50lb., double-sided, matte, Red River paper. 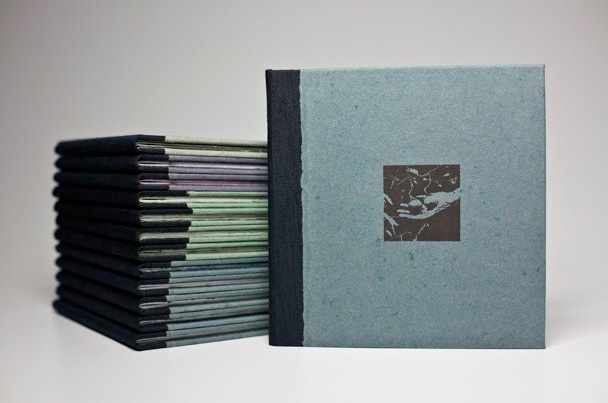 The covers and end sheets are cotton rag paper handmade at Green Street Press at the University of Georgia. The cover imagery was printed on an etching press using a polymer plate produced by Boxcar Press. The book measures approximately 7 3/8” x 7 3/8” and has a total of twenty pages. An edition of twenty-five softcover copies were produced, but are no longer available. 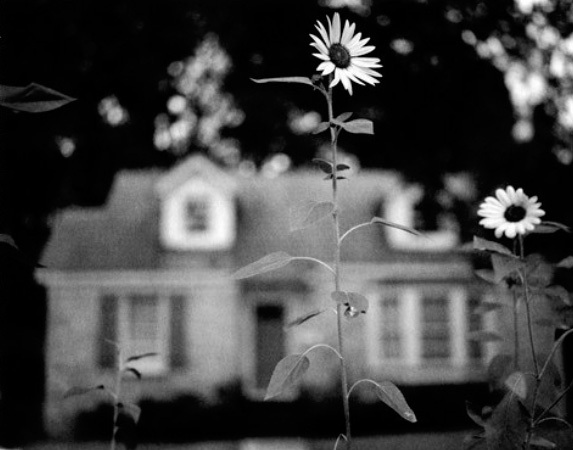 The photographs were made in Georgia, Louisiana, New Mexico, Tennessee and Italy and are selections from the series “Hideaway”, “On The Mountainside”, “House to Home” and “A Nice Place To Visit”. Portions of the text have previously appeared in the one of a kind books “Passing” and “The Wallet Book”. Please list your preferences concerning the book’s cover: blue, green or purple. Just got my copy today–it’s beautifully done, the image quality is outstanding (nice Red River paper) and it’s a pleasure to look through. Good stuff! Good sense of design and photographic ideas.